I have 2011 Roxio Creator Pro SPL1 with the BD CinePlayer. This has been installed since it first came out and has played BDs with no problems until now. What is happening is I get horzontal bars running across the screen as it is playing. I have attached a example of this. Any ideas as to why this is happening. I am assuming you have tested the Source BD on something else??? Have you updated your Video Card drivers lately??? Yes I have tried the BD in my Oppo-BD player and it works there. I have tried other BDs ( Dispicable Me) and also Pleasantville DVD. The DVD has no problems the BDs do. I have Nvidia and it was just recently updated ..mmm .that may be the culbret I may roll back the new drivers to the previous and see if that solves it. Any Ideas? My settings are the same as you showed, and attached is a scree n shot of the players particulars. You should open a Support Ticket on this! I have done that. So will wait for a reply on that end. Maybe a remove and re-install? Grasping at straws now. Be sure you have your Anti Virus turned off before this as some AV will interfer with an install! In your post 3, I became a little confused. Do other blu-ray DVDs play properly in CinePlayer? Does that Sherlock DVD play properly in another player on your computer - perhaps the one that came with the blu-ray optical drive? Just a thought; do you have the region control set properly for your location? Have you rolled back the Nvidia Driver? cdanteek, I have rolled back the drivers on my video card and that did not work either. No BDs will play correctly with this CinePlayer software. DVDs will play correctly though. I have opened a support ticket for this but have not got any thing back as to a fix yet. Will give them a few more days then will start bugging them about it. 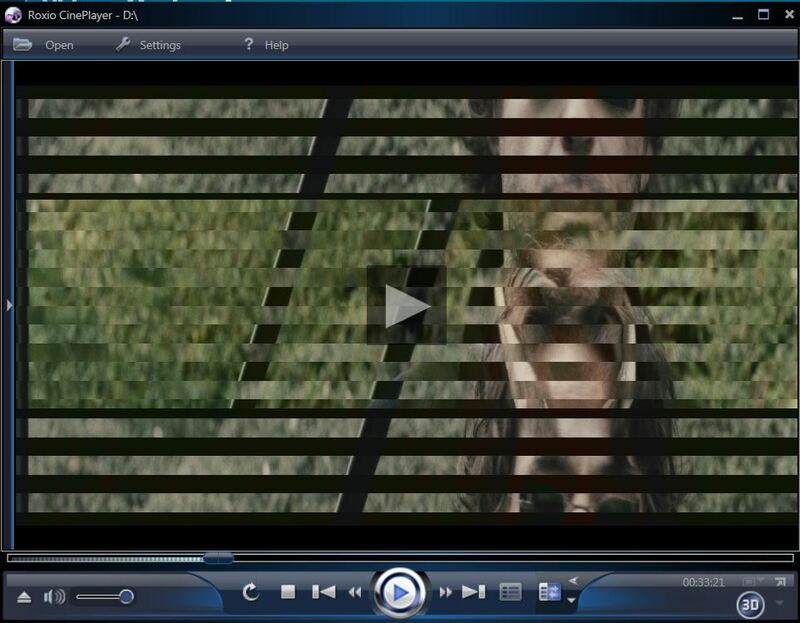 BD play fine on my CinePlayer. How did you update / roll back the Nvidia driver, procedure please? cdanteek, BluRays have always played fine until just lately. The video card drivers I had were installed 5/15/12 I rolled them back to drivers from 2/09/12. I used Device Manager>Display adapters>Nvidia GEforce 9600GT proerties>driver rollback. It worked as it should but did not fix the problem. This is turning into a real can of worms! 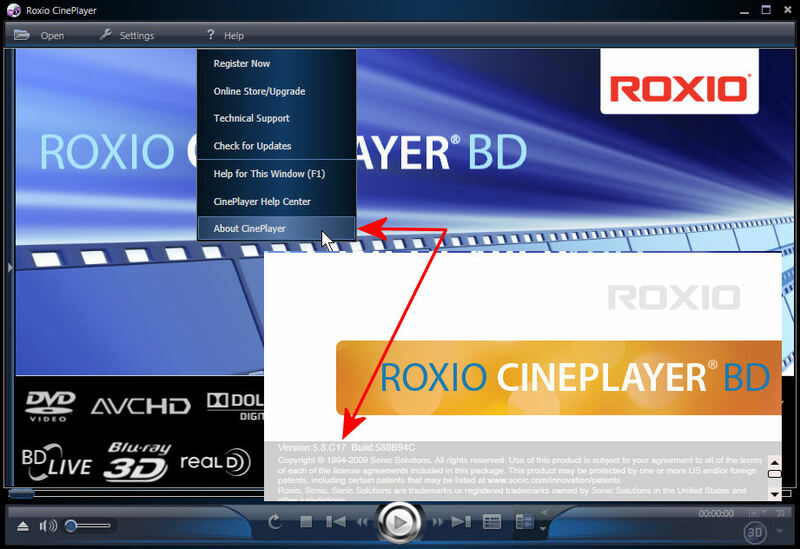 I tried to to a repair of the Roxio CinePlayer and it was a no go because a file (CP MSI) could not be found so repair could not be completed. 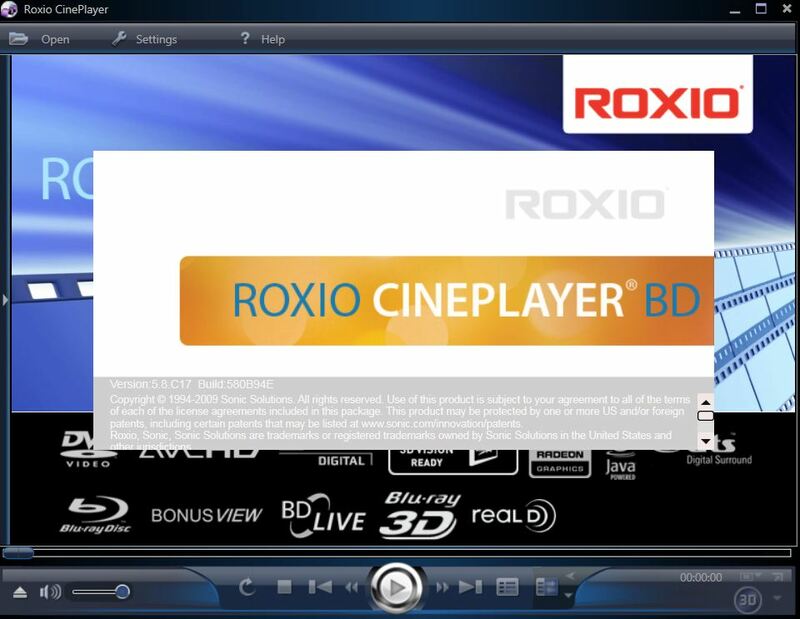 So I found the download from Digitalriver for the "2011 Roxio Blu-ray Playback Plugin" figured now I can un-install the player and then re-install. It un-installed fine but the re install would not! Got an error box stating that my configuration does not support any of the included products! What the heck does that mean? Now I have no player at all....is this how they get me to buy the 2012 version? 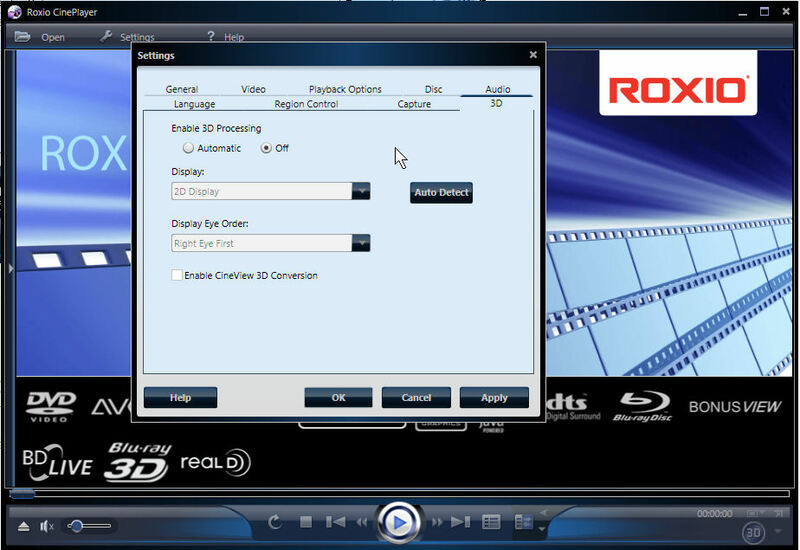 I have found the 2011 Roxio Creator Pro with the Cineplayer installation disc. So I un-installed the whole thing then re-installed both Creator Pro and the CinePlayer and guess what? It still does the same thing, dark bars across the screen. I give up don't really know what else to do. If you want to play BD you need to install the BD playback plugin. Your posted pics show you had it installed did you reinstall it? cdanteek Yes I did ... I originally downloaded all the software but also had a backup disc with everything on it sent to me. It took forever to find it. I have been building my own PCs for some time now and ...you know stuff collects and stuff gets put in weird places. I did find my Windows 98 disc though! But that does not help me with this problem. I am waiting to hear from the support people ....I wonder if I will now. Well after 2 months of back and forth with support at two levels, all I have accomplished is that I now have an older version of the Cineplayer BD, Of course it does not play a BD any different from the screwed up way it did at the beginning of this endeavor Following advise from support I uninstalled my Cineplayer BD not knowing I could never get the same updated version 5.8 SP1 I had on my PC back! But only the original version 5.6 that I initially bought and downloaded and also had on the additional installation disc purchased..I cannot get a newer version because it doesn't exist anymore....Support has no solution and finally threw in the towel, said sorry but we are out of ideas and probable solutions.